As a continuation of my “Going Back to basics” series, anyone who has studied leadership before knows the importance of excellent communication and people skills. The more I studied leadership over time, the more I realized that I needed to spend just as much time reading the top 5 team books as I did learning specific business principles, and applying those principles on a regular basis. Its been said so many times before by so many great leaders- practices are many, principles are few, practices always Change, principles never do. My “back to basics” series will help bring to the forefront of your mind, those principles that will bring positive change into your business and personal relationships. As you go thru them, see how many of these principles you truly apply on a daily basis. Please read the book! 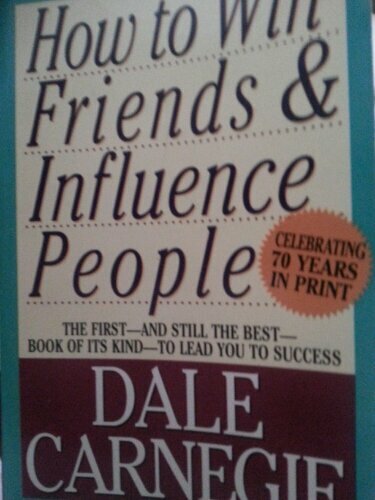 Until then, here are some summary points I have listed from Dale Carnegie’s timeless book, “How to win friends and influence people”.